Have you eaten a loaf of garlic bread, a bowl of pasta, and a dish of pistachio gelato and still felt hungry? Have you come home from dinner and then ate a bag of popcorn in secret to satiate you before bed? You’re not alone. I hear these stories from people every day, and I’ve had some of my own. Your mind is telling you that you are full because you must undo the top notch on your belt, but your stomach is still complaining it’s empty. Some people continue to eat, sometimes all day long, until mere moments before they go to bed. They feel helpless and out of control, binging on foods they know they should be avoiding. They misunderstood the problem with hunger. It’s not about the size of your stomach. Hunger does not occur because your stomach is too big. And if that is not the problem, then surgically cutting it smaller is not going to help. Likewise, hunger is not about your willpower or self-control. You cannot will yourself not to be hungry. You cannot ‘decide’ to be less hungry. You are hungry or you are not. Your appetite is hormonally driven. That is what we need to fix. Not surgically rewiring our intestines. Not counting calories. If you don’t regulate your appetite on a hormonal level, you’ll never regain control no matter how small your stomach is. We are hormonally drive to eat (we get hungry) or to not eat (we get full). If people are given dietary advice that makes them hungrier, then they’ll eat more. That’s not their fault, that’s normal. What advice has been the cornerstone of dietary therapy for weight loss for the last 50 years? Cut a few calories each and every day by eating low fat foods, because fat is very calorically dense. We are also told to eat 6 or 7 times per day, or ‘graze’ rather than eating 3 main meals per day as all our ancestors used to do. Sounds pretty reasonable. Here’s why it doesn’t work at all. There are certain hormones that make us full. These are called satiety hormones, and they are really very powerful. People often imagine that we eat just because food is in front of us, like some mindless eating machine. That’s far from the truth. Imagine that you have just eaten a huge 20-ounce steak. It was so delicious, you even ate a few extra slices, but now you’re completely stuffed. The mere thought of eating more nauseates you. If somebody set down another 12-ounce steak and offered to give you everything for free, could you do it? Hardly. So how does the low-fat, calorie reduced diet eating 6 or 7 times per day stack up? By cutting out the fat, we don’t activate the satiety hormone cholecystokinin. Because protein is often eaten along with fat (like a steak, or an egg) then you are not activating the satiety signal peptide YY. This makes us hungry. So, a few hours we eat, we get hungry again. So instead of waiting until the next meal, we eat a snack. Because snacks need to be easily accessible, it tends to be carbohydrate based, like a cracker or a cookie. It’s fairly simple to prove to yourself. 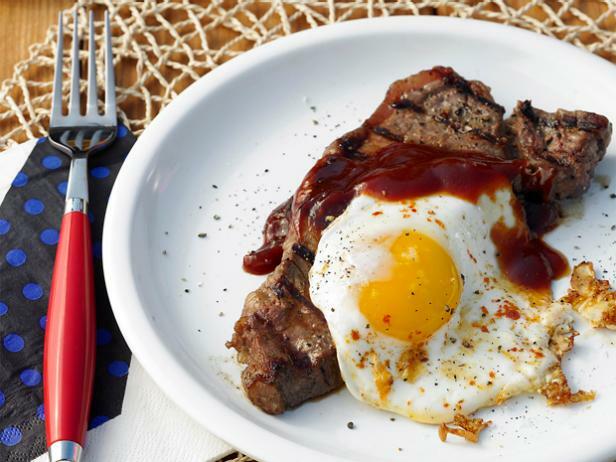 Think about eating steak and eggs for breakfast, which is high in dietary fat and protein. Do you imagine that you would get hungry at 10:30? Now imagine that you ate two slices of low-fat white toast with low fat strawberry jam, and a big glass of orange juice. There’s virtually no fat or protein in this breakfast of champions, but you know as well as I that we are ravenous by 10:30, which sends us out on a mission to find a low-fat muffin to tide us over until 12:00. Now, instead of eating 3 larger meals, we are eating 6 or 7 smaller meals, this means that we are not activating the stomach stretch receptors to tell us that we are full and should stop eating. While cutting our stomachs to a smaller size with bariatric surgery may seem like an option, the nerves that supply the stomach are often cut during this time, so they cannot provide those all-important satiety signals. The problem is amplified if we are eating, as most people are, processed and refined carbohydrates. Your blood sugar levels skyrocket telling your pancreas to produce a surge of insulin. The job of insulin is to tell your body to store food energy as sugar (glycogen in the liver) or body fat. That huge spike in insulin immediately diverts most of the incoming food energy (calories) into storage forms (body fat). This leaves relatively little food energy for metabolism. Your muscles, liver, and brain are still crying out for glucose for energy. So you get hungry despite the fact that you’ve just eaten. It’s the domino effect from hell if you’re looking to maintain or lose weight. Because these processed foods have removed all or most of the fiber, it does not take up much space, and does not activate the stomach’s stretch receptors. Because they are low fat, they’re removed most of the protein and fat. So, there’s no activation of the satiety signals, at a time when most of the ingested calories of food energy have been deposited in the body fat. No wonder we get hungry! After a huge meal, we can often find ‘room’ for dessert, which is usually highly refined carbohydrates, or we can still drink that sugar sweetened beverage. For years you’ve been lied to. You’ve been told that you lack the will power and that your obesity is your fault. That couldn’t be further from the truth. You think your body is broken because your body doesn’t respond the way you’ve been told it is supposed to. You know you’re following the rules. You’re eating what the authorities tell you to eat. You’re barely eating at all to keep your caloric intake low. You can’t lose weight and you’re hungry all the time. With about 70% of Americans overweight, is it possible that 70% of Americans are broken? Eliminating processed junk foods and using intermittent fasting regulates the hormones that control your appetite. People tell me all the time how they turned down bread or cake for the first time ever because they just didn’t feel hungry. So, reducing refined carbohydrates and enjoying natural fats and proteins can create long lasting satiety. But how can you further reduce hunger? The answer, counter-intuitively, is fasting. Eat nothing can shrink your appetite. A young doctor at the IDM Program had struggled with his weight for many years but eventually lost some weight with a low carbohydrate diet. He wasn’t at his ideal weight, but he was happy to finally be experiencing some weight loss. But he felt like a slave to food. Many people are frightened to fast because they think it will only increase their already out of control hunger. We’ve had experience working with thousands of patients adding intermittent fasting to their daily routine. One of the most consistent comments after they start fasting, is how much their appetite has gone down. They always say, “I think my stomach shrank”. They often report feeling full by eating only eating half the amount of food that they used to. No, their stomach didn’t physically shrink, but their appetites sure did. The hormone ghrelin is also called the ‘hunger hormone’ because it turns on our appetites, so you want to lower it. People assume that if you’re fasting, your ghrelin level is going to continue to rise, but that isn’t true. And most of you know this by now because you’ve been hungry for years. Eating all the time does not turn off hunger and lower ghrelin. 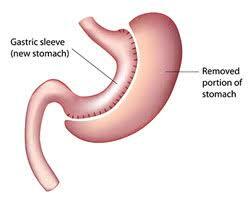 The answer to turning down ghrelin is the opposite – fasting. Hormones are cyclical, meaning they go up and down throughout the day. Circadian rhythm studies consistently find that ghrelin is typically the lowest first thing in the morning. Patients are often not hungry in the morning but they eat because they’re told it’s “the most important meal of the day”. Ghrelin also fluctuates throughout the day, which is why we tend to experience hunger in waves throughout the day. If you are able to fast through the wave, you’ll find yourself no longer experiencing the desire to eat a couple of hours later. Research shows that over the entire day of fasting, ghrelin stays stable. Not eating for 36 hours does not make people more or less hungry than when they started the fast. Whether you eat or don’t, your hunger will be the same. Why? Because if you don’t eat, your body will simply take the food energy (calories) it needs from your stores (body fat). You are, in essence, letting your body ‘eat’ your own body fat. Perfect! Once you open up those stores of body fat, you are not hungry, because your organs have access to all the its energy needs. Ghrelin is also observed to gradually decrease after three days of fasting. This means that people are less hungry despite not having eaten for 72 hours! And we hear this from our patients every day. Hunger is a hormonally mediated state of mind, not a state of stomach. Most of the complications associated with fasting are mind over matter. People think they’re going to be starving and it’s just impossible. I understand because at that point they’re eating all day long and feeling like they’re hungry from sunrise to sunset. This is why I encourage people to just rip off the band-aid and try to do a 24 or 36 hour fast. Yep, you’re right. Protein is by far the most satiating macronutrient. Try eating a can of low-fat refried beans — you won’t be hungry for many, many hours (if at all). Same goes for lean chicken breast. This is how body builders do it when they are cutting. They ramp up protein intake and reduce fats and moderate carbs. Thank you for all your great work towards humanity. I have benefited from the many informations that your team had provided to thousands of people all over the globe.Today is the 42 day I’m doing my 36 hours of intermittent fasting and I’m enjoying it. Fat around my weist line just disappeared like melting butter, from wearing a size 42 trousers to size 34 now and size 3XL shirts to size medium. I don’t feel hungry even after completed my 36 hours fasting period. Your team deserves a Noble Peace price. Ka kite ano! from Christchurch NZ. I think if you eat high fat and high or moderate protein together you would problably activate both satiety hormones? I think it’s probably the phrasing that’s confusing you. He’s saying that when one doesn’t eat high fat they are also not eating enough protein because protein is usually found in the same things that are also high in fat, such as a steak or an egg. Therefore, the satiety signal peptide YY is not being activated. So you’re correct in your conclusion that eating high fat and high or moderate protein together would activate both satiety hormones. That sounds logical to me, thxs for your reply! I was also confused by that statement. I don’t think the purpose of this writing is to persuade (“sell/convince/market”). The purpose here was to inform and explain. Hard to believe, but the internet still contains some actual content that isn’t just barely disguised marketing. I don’t think anything was lost in transit. It’s an explanation, not a sales pitch. Correct Sherry! This blog is just information for our readers. No purchase necessary! Interesting, scientific, thought prvoking idea, narrated in common man language. I am a Diabetes and obesity physician for last 30 years in Kolkata, India. Nobody, not even our professors told us to to think in the way Dr.Jason has been telling. The Obesity code years earlier! Thank you Dr. Jason Fung and your team. My patients are getting benifitted. Now I know why my women pts showing better results with 20 hours fasting. I am yet to start 36 hours fasting. But I read the Diabetes code book on 28/3/19 only! You’ve taken it out of context. Read the sentence before (By cutting out the fat we don’t activate the satiety hormone), then the sentence you’re not understanding (because protein is often eaten along with fat). When you cut out the fat you’re not activating the satiety signal; eating a steak (protein + fat) satiates. Take the fat out of the steak & it’s not as satiating. Months. And I mean ravenously hungry. In other words, there is variance in the response to fasting. What shall people like me do??? I have a question. I fix the meals for my family, and it’s very hard to not eat what I have prepared. Is there any solution to this problem? I would like to fast for several days–and I need to fast, but it’s so hard to prepare a meal and then not eat it. Is there a Keto Center where a person can go for a week. Jump start the Keto Diet and take classes,listen to lectures prepare food etc? I often refer my clients to dietdoctor.com to get lots of information, recipes, meal plans, and even the grocery list! Check it out! What about controlling hunger during the first few days of a fast? I’ve been very hungry, and the stomach growls continue throughout the day! I’d like to know how to control my hunger when I am fasting! I’ve only been doing it for 3 days, and now I’m 80 hours in but the hunger has not gone away! 1. There is a recent study published in “The nutrition journal” in Europe that states that skipping breakfast is leading to insulin resistance and leading to type 2 diabetes. 2. Another study mentions that skipping breakfast and eating late hours increases heart attack rate to a high percent. Please can someone throw some light as this contradicts to benefits of intermittent fasting to a large extent.